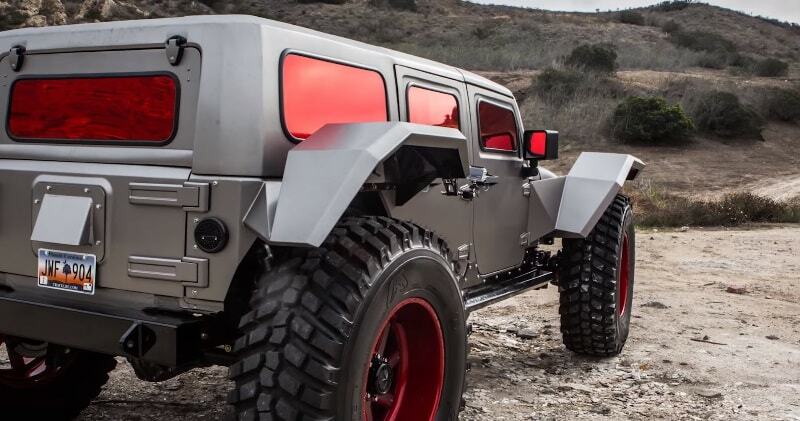 Home WORLD Fab Fours Legend Is The Most Intense Custom Jeep You’ve Ever Seen! 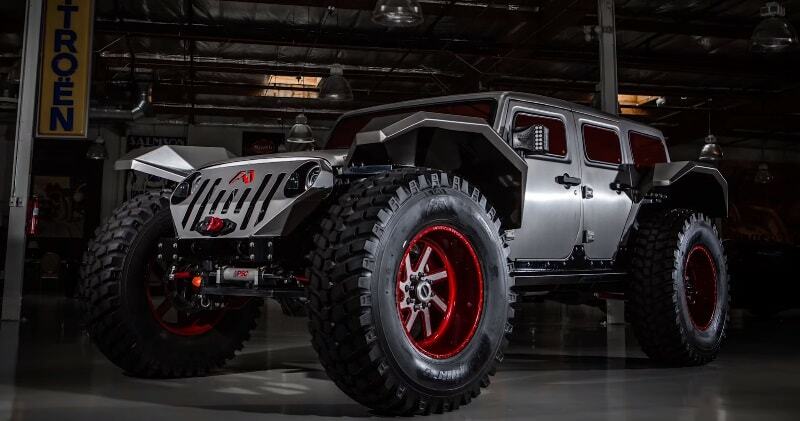 Fab Fours Legend Is The Most Intense Custom Jeep You’ve Ever Seen! This Outrageous Jeep Mod apparently caused an uproar at SEMA 2014, not surprising as it is a bit of a monster.I mean that in a nice positive way as it gets lots of attention wherever it goes and it is after all designed primarily to be a show truck. Watching the road run it travels along quite nice on the road, same on a steep off road track but need to remember it was built for show, not for go.